Born in New York in 1925, Robert Cohan trained at the Martha Graham School, and began his professional career in dance when he joined the Martha Graham Dance Company in 1946. He quickly moved to soloist and then performed throughout the world as a partner to Graham herself. He left in 1957 to start his own small group of dancers and started his long career as a choreographer. Returning to the Graham Company in 1962 for its European tour he soon became a Co-Director of the Company with Bertram Ross. In 1967, at the invitation of Robin Howard, he became the first Artistic Director of the Contemporary Dance Trust in London and as such was the founder Artistic Director of The Place, London Contemporary Dance School and London Contemporary Dance Theatre, which he directed for the next 20 years. Robert Cohan’s influence on the development of modern dance in Britain has been considerable. 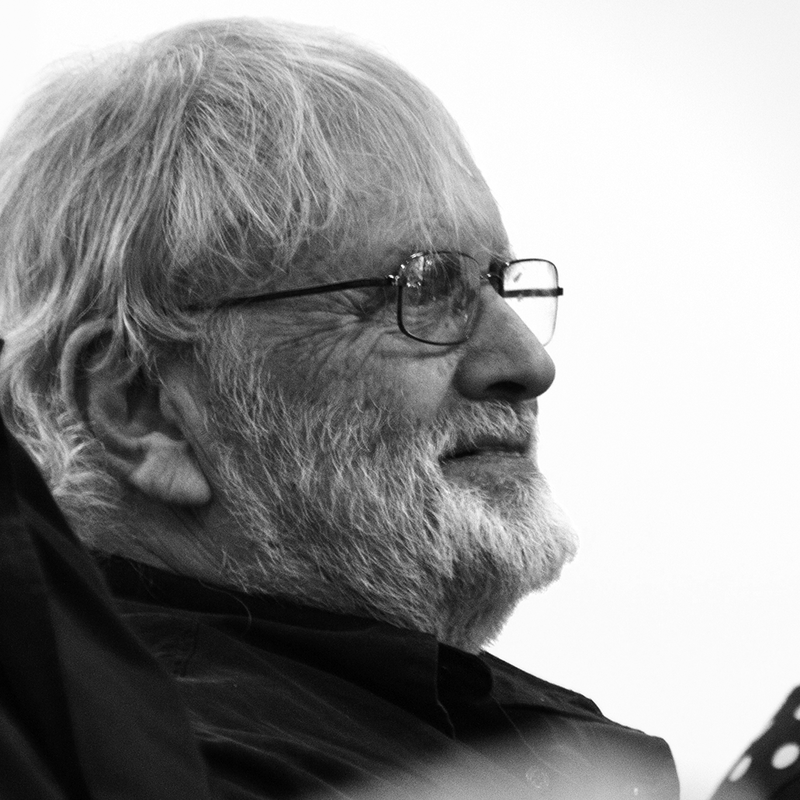 Having pioneered the teaching of contemporary dance technique in Britain, he was instrumental in the development of a vast following, not only for the repertory of LCDT in the 70s and 80s but through his pioneering residencies throughout the country, which laid the groundwork for the many other British companies that have grown up in the last twenty tears. As director of LCDT he created many works for the Company in collaboration with leading composers and designers. Among them are Stages, No Man’s Land, Stabat Mater, Forest, Testament, the full length Dances of Love and Death (commissioned for the Edinburgh Festival), Ceremony, Interrogations,Agora, Phantasmagoria and Video Life. BBC TV, who commissioned A Mass for Man broadcast in 1985, has also broadcast his Waterless Method of Swimming Instruction, Cell, Forest,Stabat Mater and Nympheas. Since 1989 he has been working freelance and has choreographed several ballets for Scottish Ballet as well as companies in Germany and Italy. He was the Artistic Advisor to the Batsheva Dance Company from 1980 to 1990 and choreographed several works for them and the Bat Dor Company. Robert Cohan has been continually in demand as a director of choreographic courses, notably the International Course for Professional Choreographers and Composers which he directed six times. He has also directed professional choreographic courses in New Zealand and Canada. As a teacher of contemporary dance he has taught extensively. Besides being a senior teacher at the Martha Graham School he worked at The Julliard School, Harvard, Radcliffe, and the University of Rochester in the US, York University in Toronto and at many colleges and universities in the UK. With LCDT he won the 1975 Evening Standard Award for The Most Outstanding Achievement In Ballet and in 1978 a similar award from the Society of West End Theatre (now the Laurence Olivier Award). He has also been given several honorary doctorates including from the Universities of Kent, Exeter and Middlesex. In 1988 Robert Cohan was awarded an honorary CBE in recognition of his outstanding contribution to dance in the United Kingdom. He has since taken British nationality. In 2005, Robert’s 80th birthday was celebrated a symposium at The Place and a gala performance featuring Richard Alston Dance Company, Phoenix Dance Theatre and Ballet Theater Munich at Sadler’s Wells in London. In 2011, Richard Alston Dance Company revived Robert’s 1989 LCDT workIn Memory. In 2013, he was awarded the De Valois Award for Outstanding Achievement at the 2012 Critics’ Circle National Dance Awards. Yorke Dance Project board member: Paul R W Jackson has recently published a book on Robert Cohan’s life in dance called The Last Guru.